Have stayed at the Antonis hotel in Kefalos for the last 5 years. Last year was very quiet as Libra went bust. We booked directly with Peter the owner, who even picked us up at the airport. He has now signed up with manos holidays. The hotel is kept spotless by Stella, who also does a lot of the cooking which is excellent. The hotel has one of the best locations around, everything is close by and level. Not like some other hotels in Kefalos which have very steep hills to climb. Everyone there are friendly and very helpful. We loved it Peter and his mum were great and our room was nice and very clean usual thing no shower curtain and limited hot water but thats normal Greece. The location was really good supermarket at one side tour operator at the other plenty of places for a snack and only a very sort walk to the centre of the resort. The breakfasts were good same as previous post. Liked the fridge in our room and thought the prices for the drinks were ok.
We met some great people there and Peter is really good fun but his measures are really really big even by greek standards. We will go back as soon as we can. Excellent time at the Antonis. Peter the ownwer did everything to make your stay a good one. Doe's he ever sleep? He was meeting and greeting, serving breakfast and snacks, maintainance man, pool cleaner and finally barman. Good breakfast for Greece a mug of coffee/tea, toast &jam eggs one day ham and cheese the next and yogurt and honey the next. Hotel was spotless and fresh towels everyday except Sunday regular bedding changes. Most people went to the bar at the hotel before retiring to bed. Beware Peter's measures hardly leave any room for the mixures. A brilliant stay in KOS and Peter is the funniest and nicest Greek bloke you will ever meet - he has a brilliant Sense of humour - very dry. 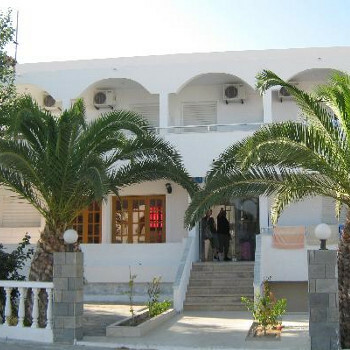 Been back to Kefalos since and due to go again in 4 weeks time but it's difficult to get booked in this Hotel now so we are staying in different accomodation as we had to last year. However still spend most of our days/nights here cos it's such a good laugh with Peter around. Rooms small and basic but that's Greece in general. Kefalos a lovely place and whilst it is nice and quiet it's still a pretty big resort, area wise. A walk from one end of the harbour to the other side of the resort will take a good 30 minutes and the views from the top of the old village looking out over the resort and sea is gorgeous.